We are a passionate group of ‘MOVIETEs’ who watch, discuss threadbare the various aspects of Storytelling, Cinematography, Editing, Script etc. We meet weekly to view both classics and new films with Asian themes or by legendary Directors. 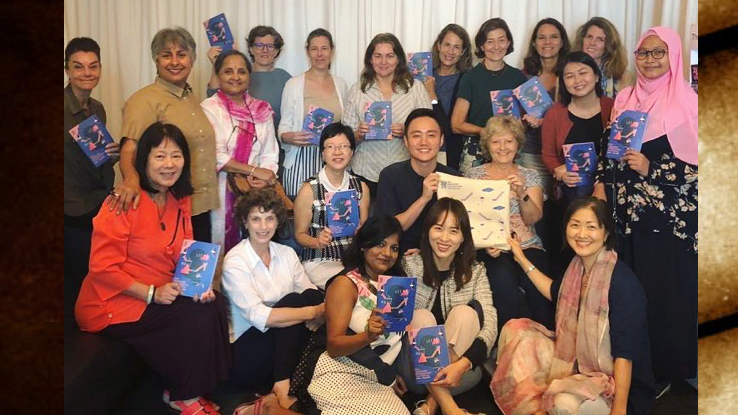 We watch a variety of films from all over Asia including Afghanistan, China, Hong Kong, India, Indonesia, Iran, Japan, Korea, Malaysia, Philippines, Singapore, Taiwan, Thailand, Vietnam. At the first meeting, we choose which films each person will research and give a short 10-minute introductory presentation about the film. Watch the films and discuss them together at the subsequent meetings. Sometimes the Cast & crew of the film join us in Q&A sessions. We are a fun group who go to movie nights, attend Film Festivals, organize Private Screenings with award-winning Directors and much more. Come join us for some LIGHTS, CAMERA & ACTION! NEW SEASON: Starting 29th Jan! A mini (short) film session will begin on 23 April and will last five weeks. Come with your film suggestions or just come for your viewing enjoyment. The topic this session will be 'F for Female', where we look at films that are either written, directed or have a lead protagonist that is female. These five sessions take place in members’ homes on Tuesday's starting at 9:30, with meetings generally lasting three hours. All film lovers please join! Please note the changed time, the event will now take place at 7pm. Walk the 'red' carpet, cheer your favourite movie and celebrate the 2019 Oscars with the best film group in Singapore. Bring your favorite movie-related dish. ASIAN FILM GROUP: Screening of THE BIRDCAGE , a1996 American comedy. A 1996 American comedy film directed by Mike Nichols, written by Elaine May, and starring Robin Williams, Gene Hackman, Nathan Lane, and Dianne Wiest. 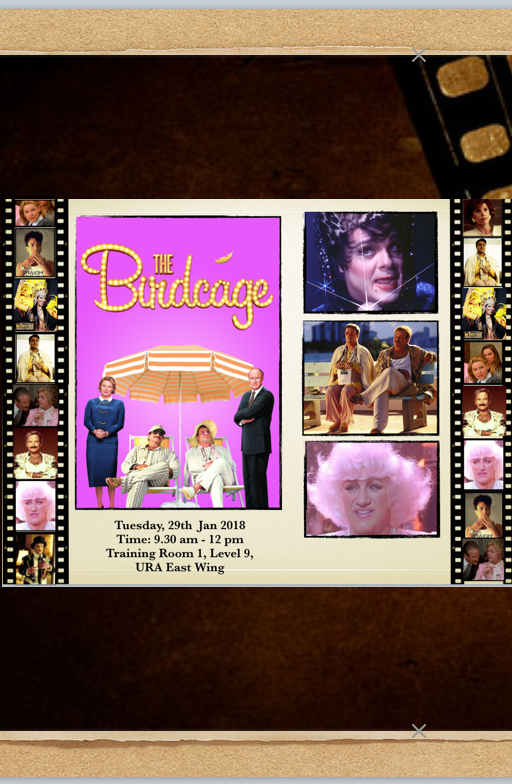 Based on the French play/film La Cage aux Folles, The Birdcage was a huge hit in 1996.It starred Robin Williams as a gay cabaret owner and Nathan Lane as his drag queen partner. It is a fantastic comedy romp which delivers a hilarious situation and great character interaction from start to finish.